Choose from Maroon, Maroon & Gold, Navy, Navy & Gold, Green, Green & Gold, Black, Red or red and black. In stock with NEXT DAY delivery. Add your logo/name/number for £4ea. Logo setup £20. Please call 0808 1200 634 or email info@crickethaven.com to place your order. All caps have an elasticated back and stretch upto 10cm. With popular demand, we bring you the traditional woolen baggy cricket caps supporting a timeless design and ageless style. These custom cricket caps never go out of fashion and are one of the most sort after caps in the cricket market. 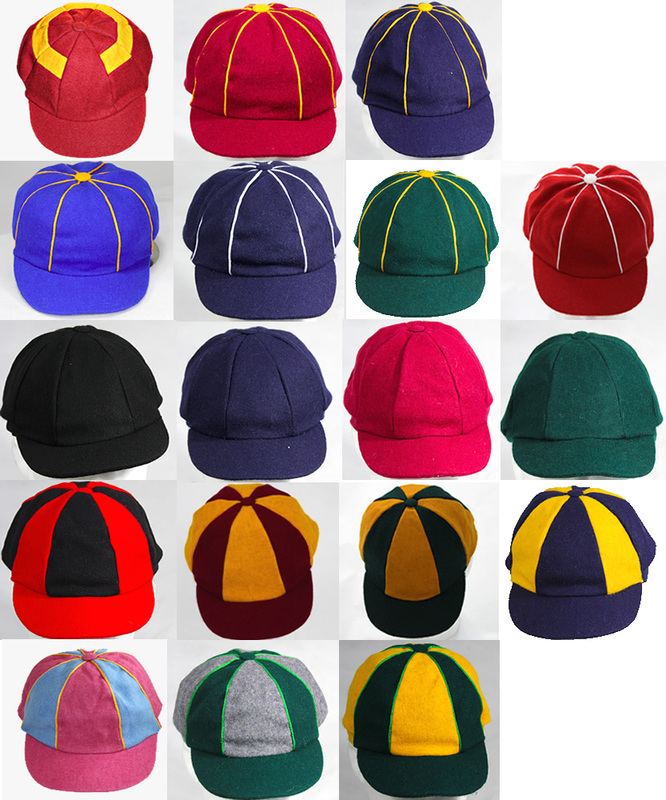 Introducing, the traditional woolen 'baggy' cricket caps at our cheapest every prices. These baggy cricket caps are made from our unique woolen blend, which gives it a very soft feel. These woolen baggy cricket caps support full lining inside and a elasticated back which gives a great professional look, just like a Test player!